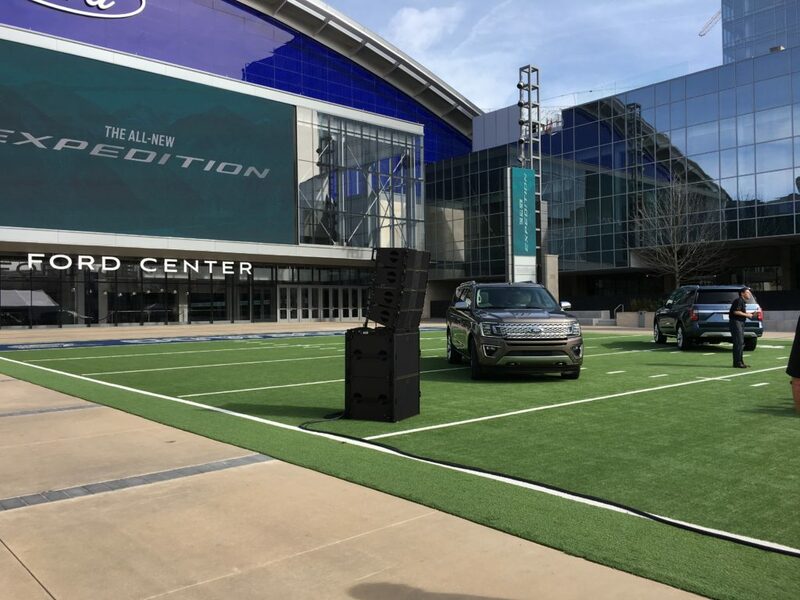 This week I had the pleasure of attending the reveal of the brand new 2018 Ford Expedition at Ford Center at The Star in Fricso, TX. 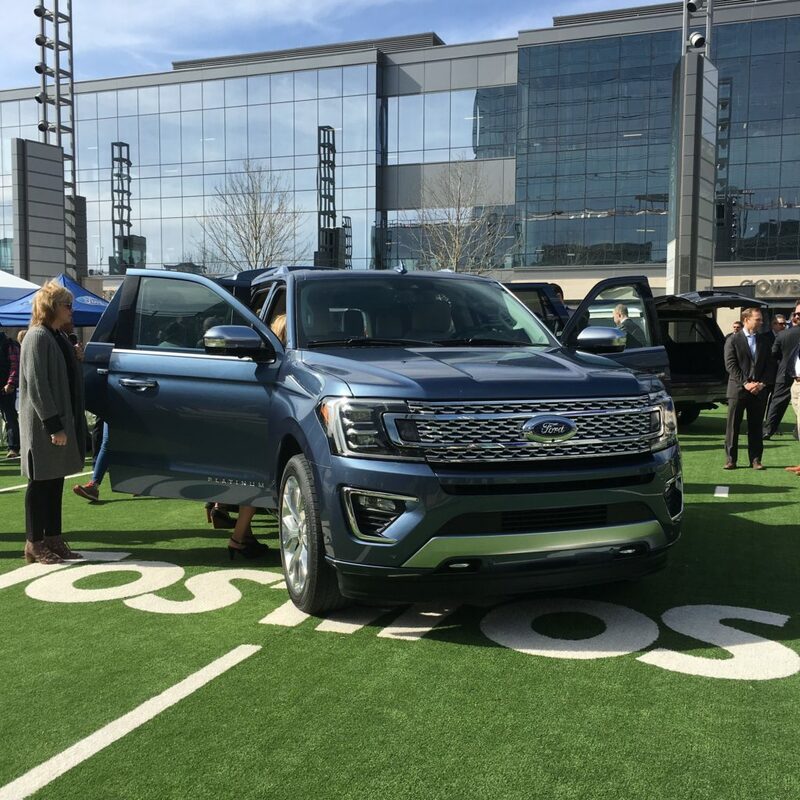 Joe Hinrichs, Ford president, The Americas and Stephen Jones, Dallas Cowboys chief operating officer and executive vice president, invited the media out for a first-look at this gorgeous family-sized SUV. It’s been so long since the Expedition had a reboot, that this new body style and 40 new features will blow you away! I know I’d never paid much attention to the Expedition till this week. I liked the Explorer. Now I’m an Expedition fan! It’s a little bigger and I feel like our family could grow into it, instead of very quickly growing out of it. The new Expedition comes in 3 series: XLT, Limited and Platinum trim lines, plus an XL series for fleet customers. All the series will be available on both the regular and Max (extra long) models. We got to see the Platinum series for both the standard and the Max and boy are they impressive! Personally, I’d pick the Max because my son and I always have taekwondo gear to haul and our family takes a lot of road trips. That extra cargo space makes a big difference! Some of the new features I love are the hands-free lift gate, adaptive cruise control, intelligent 4-wheel drive, LED lights, and the panoramic moon roof. The second row is available as either a 60/40 split, or captains chairs and the seats slide back and forth for adjustable legroom. I sat in the third row and had the second row slid all the way back and I still had room for my long legs! The 3rd row is a full seat, not a thin little bench. 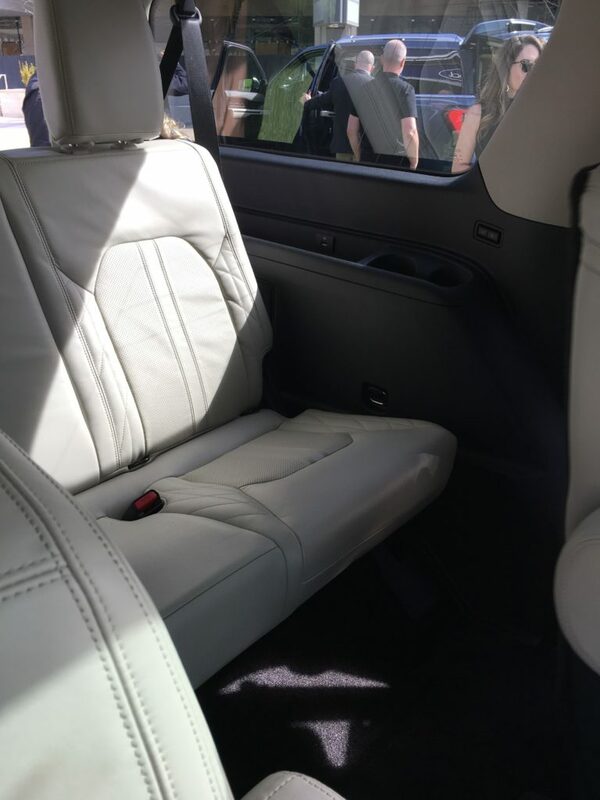 It’s comfortable, even for adults, has it’s own charging ports, cup holders and storage space. Oh yes, and the 3rd row seats can recline! 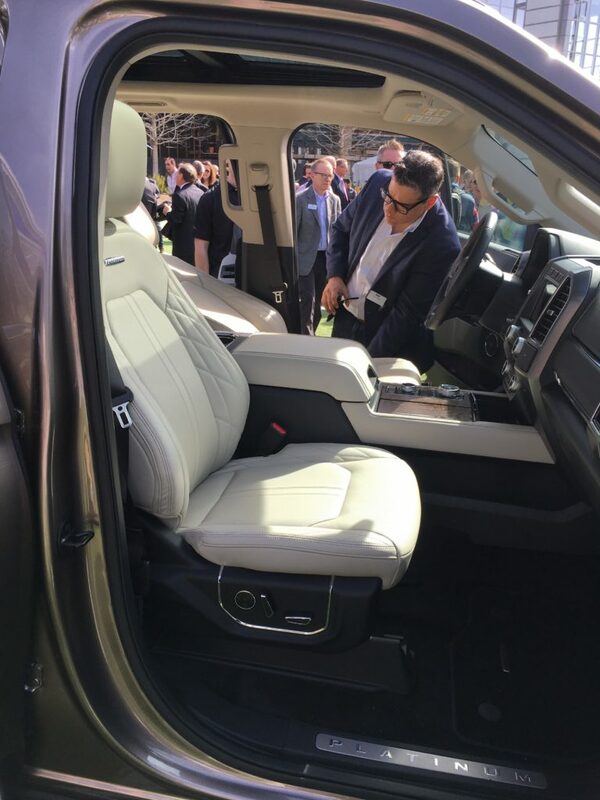 You’ll also find a 360 camera view, park assist, WiFi hotspot for up to 10 devices, and the all new Ford SYNC3. 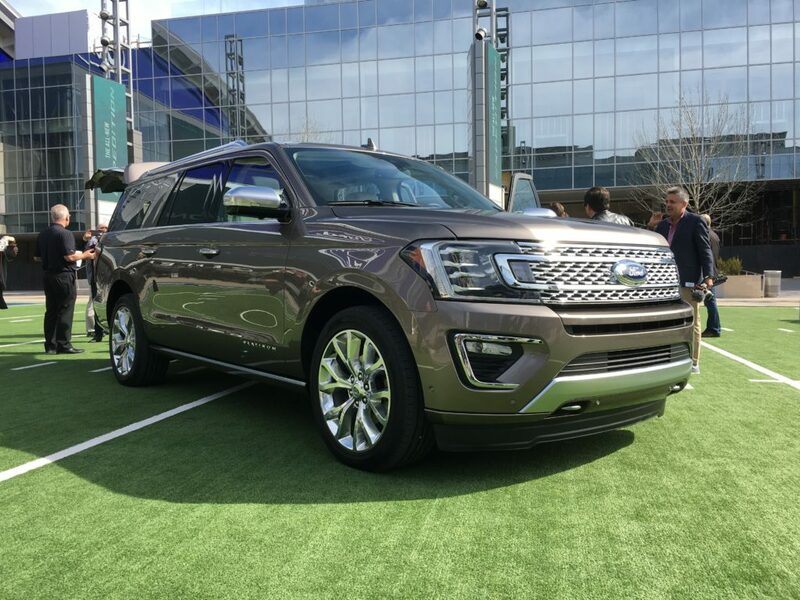 The 2018 Expedition is powered by a 3.5-liter EcoBoost® engine with standard Auto StartStop. You’ll find a class-exclusive new 10-speed automatic transmission under the hood. These things help to make the all-new 2018 Ford Expedition is the most powerful Expedition ever. Then there’s the Pro Trailer Backup Assist for those who trailer. I’ve tried this on an F150 and it’s incredible! In short, this is the “smartest, most capable, most adaptable Expedition” Ford has ever built. 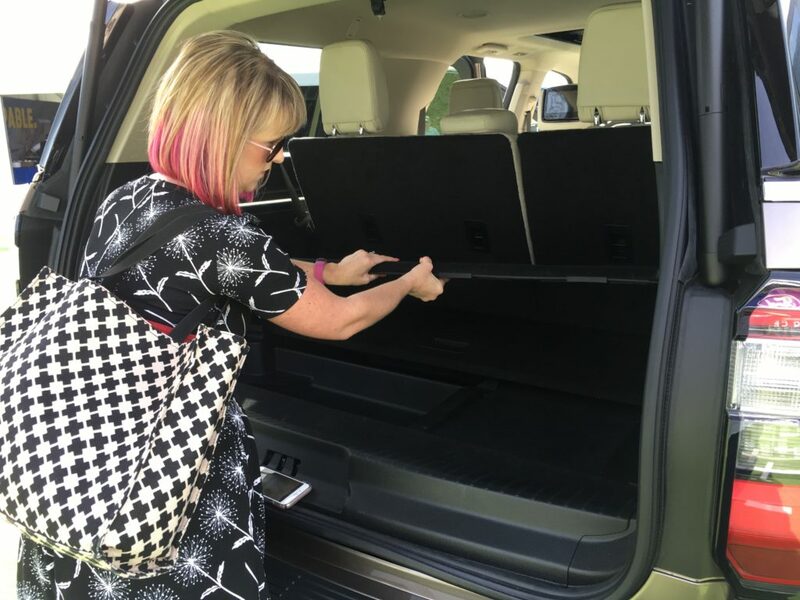 April, from Soccer Mom Life, checks out the configurable cargo space in the MAX. What didn’t I like? Not much. 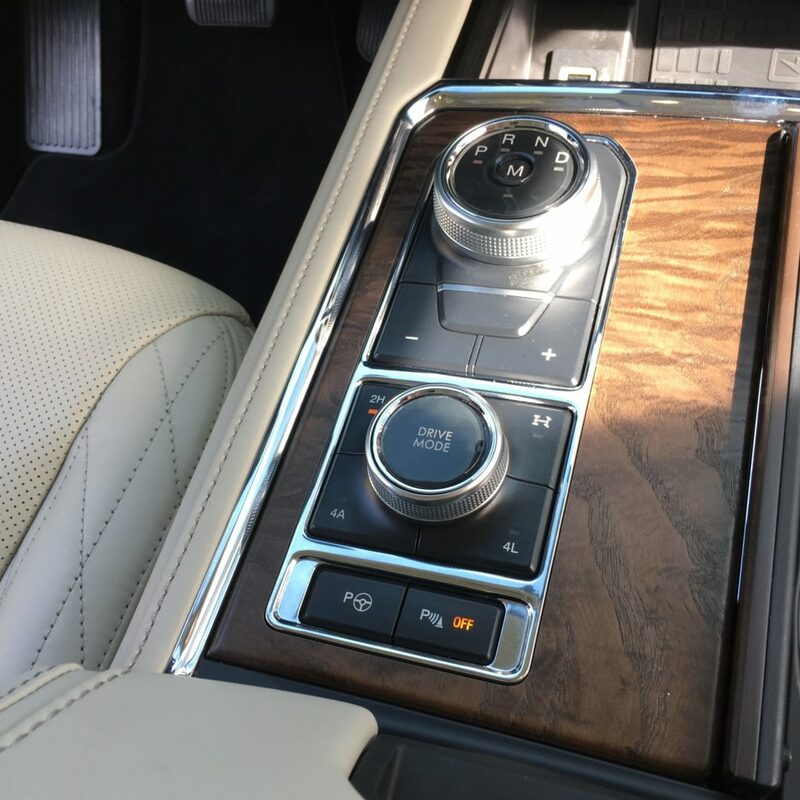 I can only think of one big thing… the little dial that has replaced the gear shift. I do understand that it saves a lot of space and makes the front center console more usable, but I just can’t get over turning a dial. If it were up to me, every vehicle would have a good ol’ stick on the floor or console. Overall, I’m really impressed and I can’t wait to drive one of these new Expeditions. We’re told to expect them at dealerships this fall!